Siggy and I didn’t go to see the “British Folk Art” exhibition – the picture of the chicken and my imaginings of a load of dull pots and poor paintings put me off. We went instead to see the permanent collection that we so rudely ignored last time we came – the delights of John Singer Sargent’s paintings and Jacob Epstein sculptures among other things. lovely light, well proportioned doors, nice floors. I’ll move in tomorrow if you re-hang the fairy feller’s master stroke. The ‘other things’ were a mixed bag of curiosities. 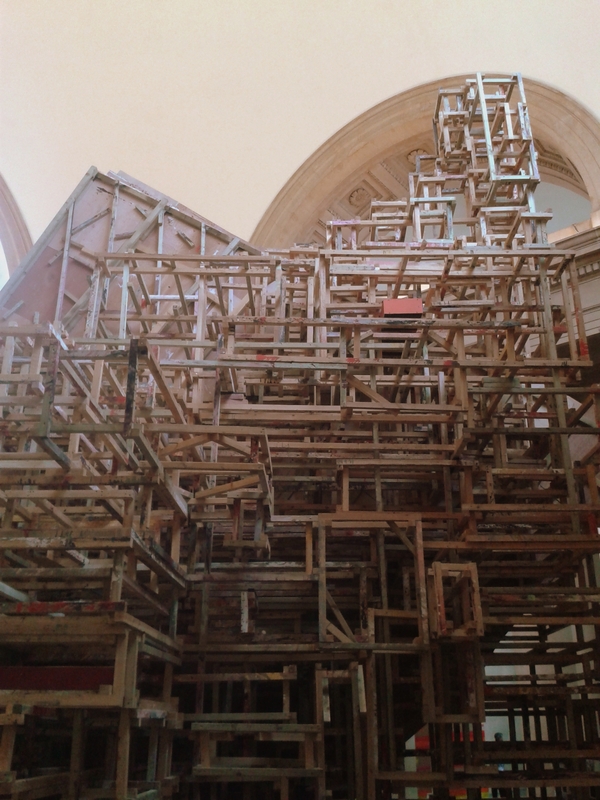 Take for instance the installation by Phyllida Barlow which is hard to ignore, unfortunately. 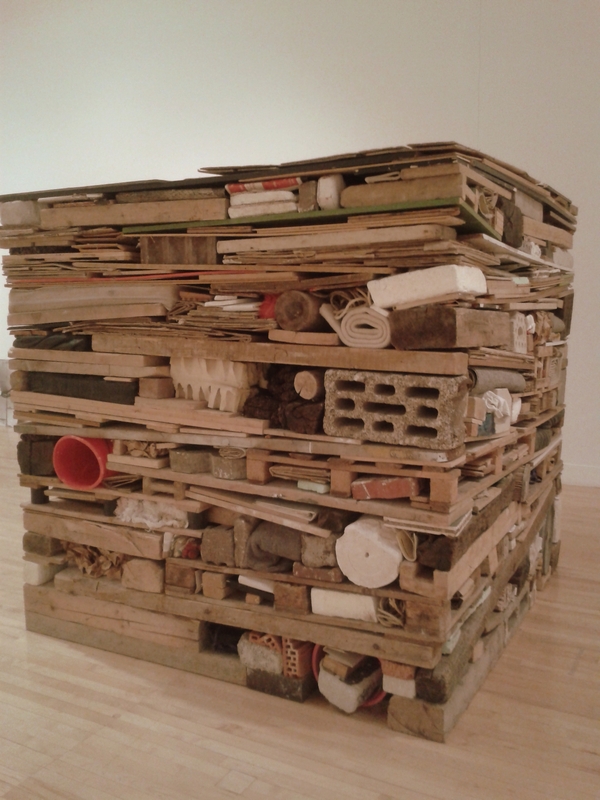 For me making stuff big doesn’t make it good and this sort of abstract sculpture made out of things that wouldn’t be out of place in a skip does nothing for me. 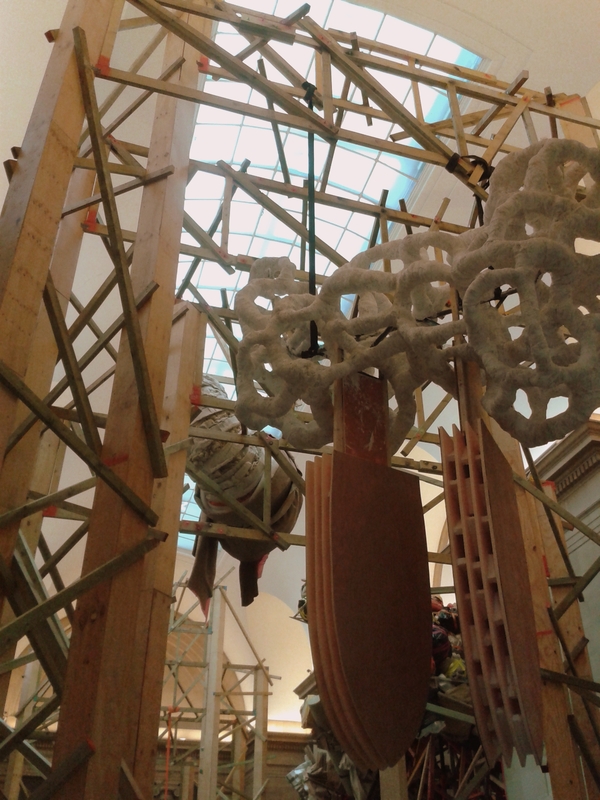 One particular piece conjured up thoughts of a giant toilet roll. Other people however seemed mesmerised by what you can do with too much time, some bits of wood, some paint and some cardboard and a big bag of money from Sotheby’s. 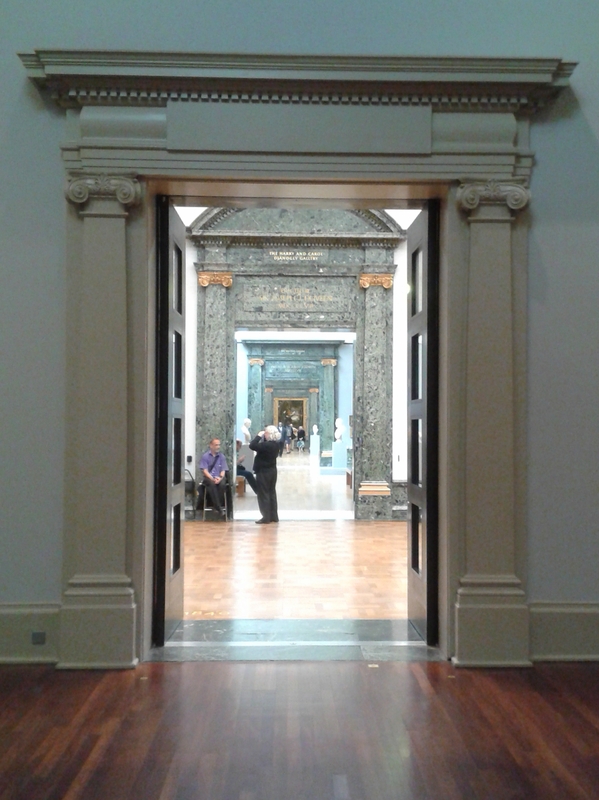 One particular chap was so blown away by it all, that he had to have a lie down in the middle of the Duveen Galleries or perhaps he was just an alcoholic tramp looking for a place to kip. On the flip side for me was the collection of black and white photographs mainly taken in the 1970s and 1980s by Chris Killip. I haven’t taken any photos of them as I think that would be rather rude. But they are definitely worth a look. The photographs, especially those taken on the Isle of Man, look far older than the Seventies and Eighties but it is 2014 now and it made me realise that I am a middle aged man not a kid fresh out of uni (which is where most of my emotional development ended I think, and definitely the age at which I had decided on my unbending opinion of what I consider to be art). 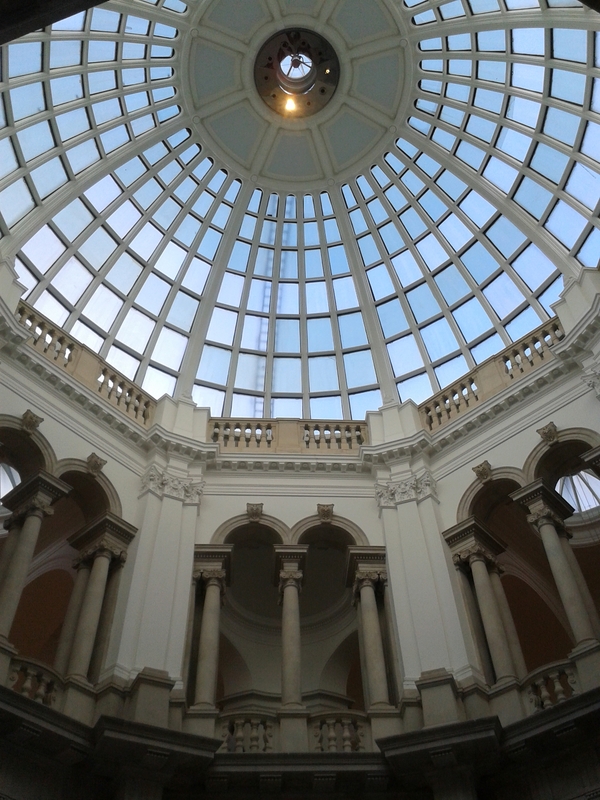 I like to visit the Tate Britain to look at the building itself. The recently renovated spiral staircase is beautiful and looking down at some of the flooring or up to the ceilings will sometimes give you more artistic spectacle than the items enclosed within the walls of the building. We tried to find the Henry Moore exhibition but the signage was so poor we gave up after twice passing “Drawing for Free Thinking” the excellently colourful new wall drawing by David Tremlett which wraps around the Manton stairwell. 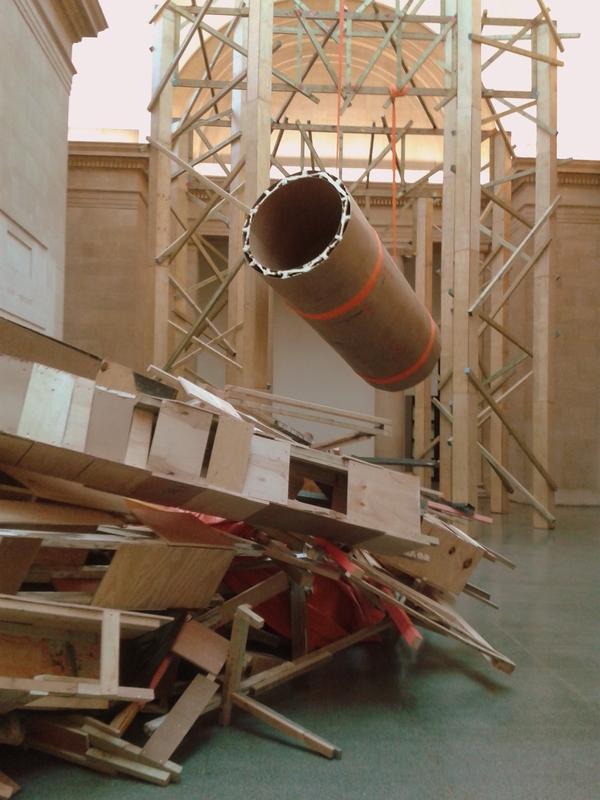 We wandered into some other rooms mainly to get out of the shadow of Barlow’s giant carbuncles and happened upon a pleasant collection of, for the Tate Britain, surprising modern pieces. Blank black canvas aside, it was good stuff and I wondered if they were hosting spill-over from the even more hit and miss stock of the Tate Modern. 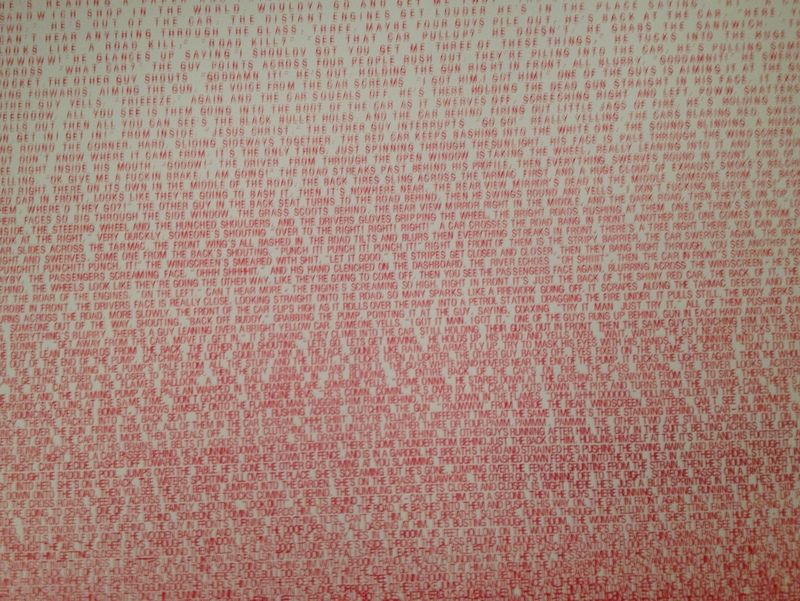 I can’t remember if this is Barlow’s work, but I actually quite liked it; maybe because it is compact and somehow makes more sense to me than the other stuff. I will post some more thoughts about art in London tomorrow including our first trips to The Saatchi Gallery, The National Portrait Gallery and the Photographers’ Gallery. Oh and there’s also the matter of the ‘Bond in Motion’ exhibition to cover. Posted in VisitingTagged LondonBookmark the permalink.